Towering 17 stories over east Washington Street, The Symphony Center stands out gracefully among the other early twentieth century buildings nearby. 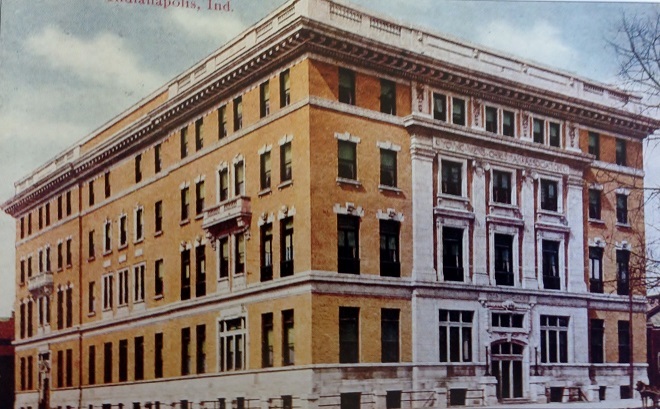 Today, the building houses an array of offices, but did you know that at one point in history the building boasted the most modern amenities to guests of Indianapolis? The Hotel Washington at 32 East Washington Street was a dream come true for local hotel developer J. Edward Krauss. The former newsboy previously developed several smaller hotels in the area, but this was his biggest endeavor to date. 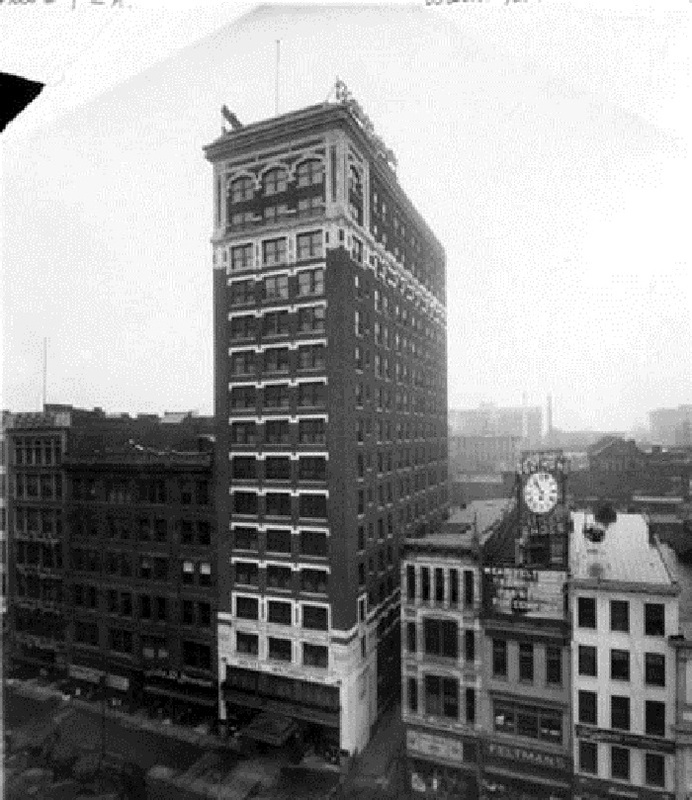 The narrow structure became the tallest hotel in Indiana at the time it was built. 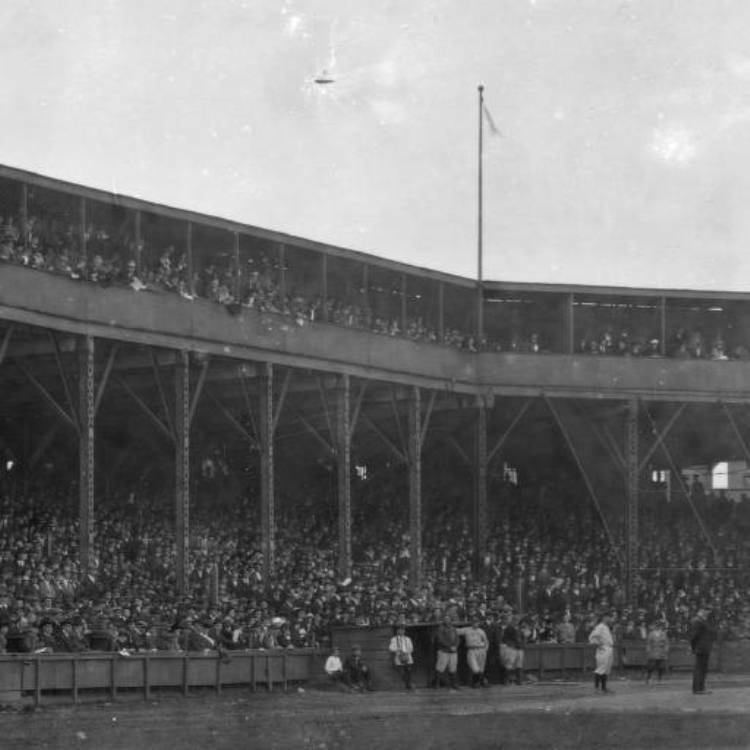 Architect Robert Frost Daggett designed the slender building. Other area icons designed by Daggett include the Chamber of Commerce Building and the Indianapolis Athletic Club, both on the west side of Meridian Street. The hotel predated the “buy local” movement by nearly a century, but definitely embraced the concept. All construction materials and fixtures were obtained via Indianapolis-based manufacturers and anything that proved unattainable from a local producer was brought in via area retailers. The hotel’s grand opening occurred on December 28, 1912. Three hundred individual rooms were available, featuring amenities such as private bathrooms– considered a rarity at the time. Guests could dine in the main restaurant, located in the basement, or a buffet in the eastern third of the ground floor. The second floor featured three separate parlor spaces. The 16th and 17th floors consisted of banquet halls for larger conventions or dances. 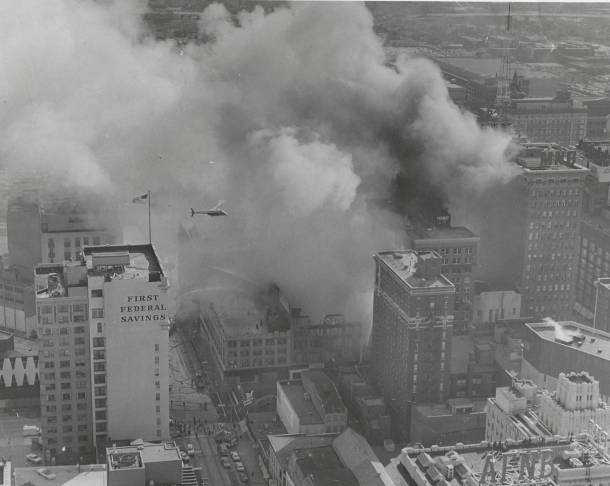 In 1938, the building was sold to the Benson Hotel Company who managed the building until it closed. 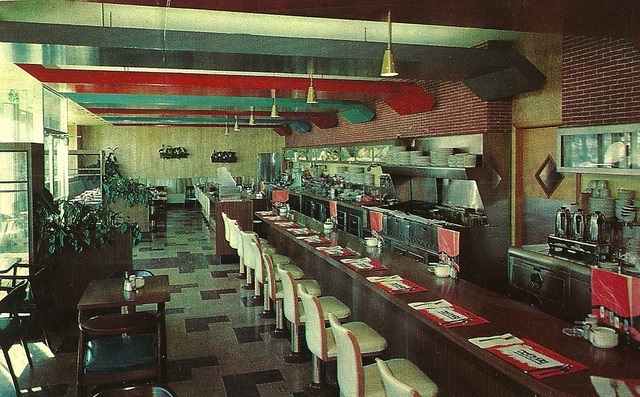 A renovation in 1958 attempted to bring the décor and dining facilities up to modern standards. 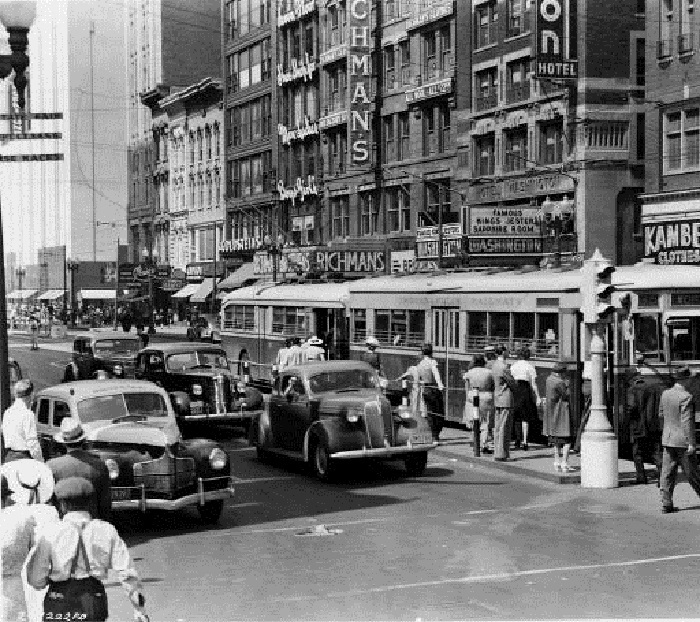 Despite these efforts, popular perceptions were changing, and a luxury downtown hotel without parking no longer appealed to the average visitor. In September 1963, General Manager William Davies announced the hotel would close by the end of October of that year, claiming the business had been losing money for quite some time. In a newspaper article, he blamed newer motels outside of the downtown area as the main reason for the declining business. Thankfully, adaptive uses for the building have kept it viable overtime. Shortly after the Hotel Washington closed, investors converted the former guest rooms into apartments. The Washington House opened in 1965. 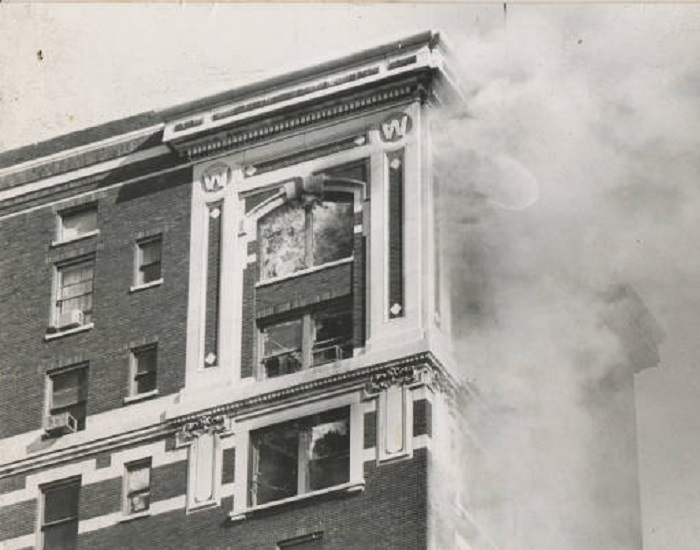 Perhaps the biggest threat to the building’s future came in 1973, when the Grant Building fire across the street heavily damaged the building’s upper floors. Later, the building housed offices and a banquet space and was known as “Washington Place” throughout the 1980s and 90s. In 1997, the Indianapolis Symphony Orchestra purchased the building to expand their operations. The symphony occupies the first nine stories, with other offices taking the remainder. 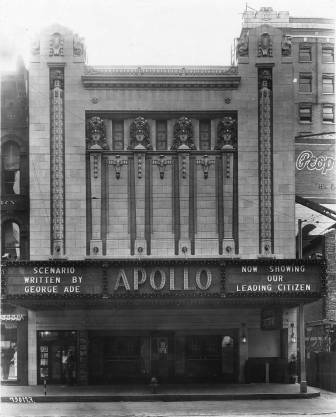 The exterior of the building has remained a fairly faithful representation of its original self, but the same may not be said of the interior, which has been stripped of nearly all original adornments. My parents spent their honeymoon at the Washington, April 1946. They didn’t elaborate. Glad to know this iconic structure is still economically viable of the downtown area.